Knowing an unfamiliar culture is a challenge every traveler faces. There are many ways to crush the ignorance but the best way would be trying out their dish. This is also the reason why I enjoy tasting various cuisines to get to know people- their lifestyle, capabilities and goals. 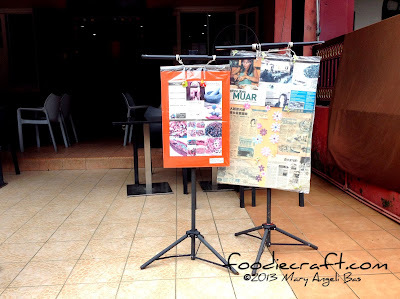 Malaysia, a vibrant destination with a diverse cultures and traditions is the first ever foreign country I've visited. 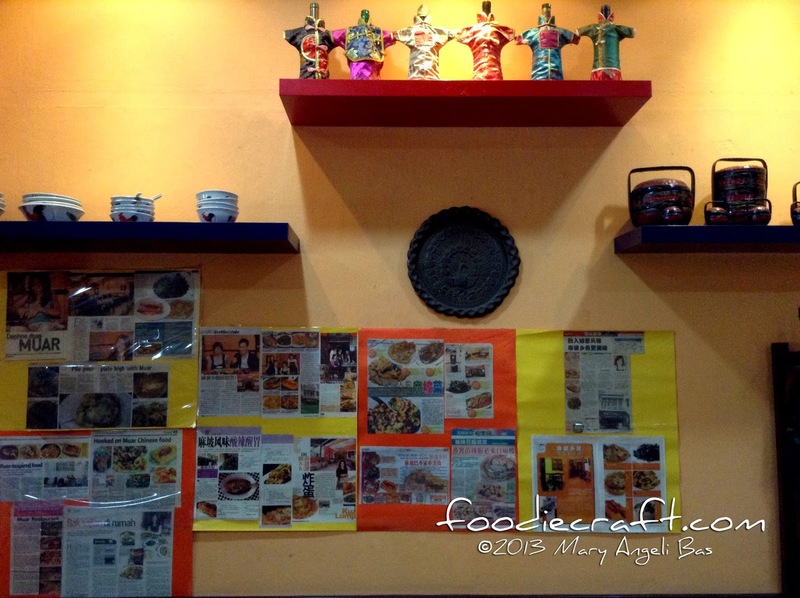 The wide variety of cooking styles and cultural influences make its food simply unique. 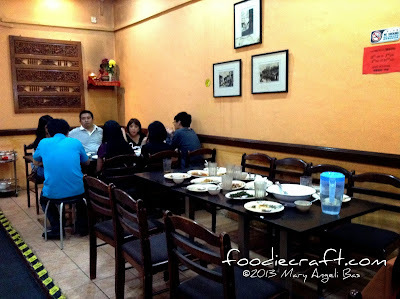 My circle of bloggers stopped for lunch at a street-side hash house called Restoran Muar in the recently concluded tour. 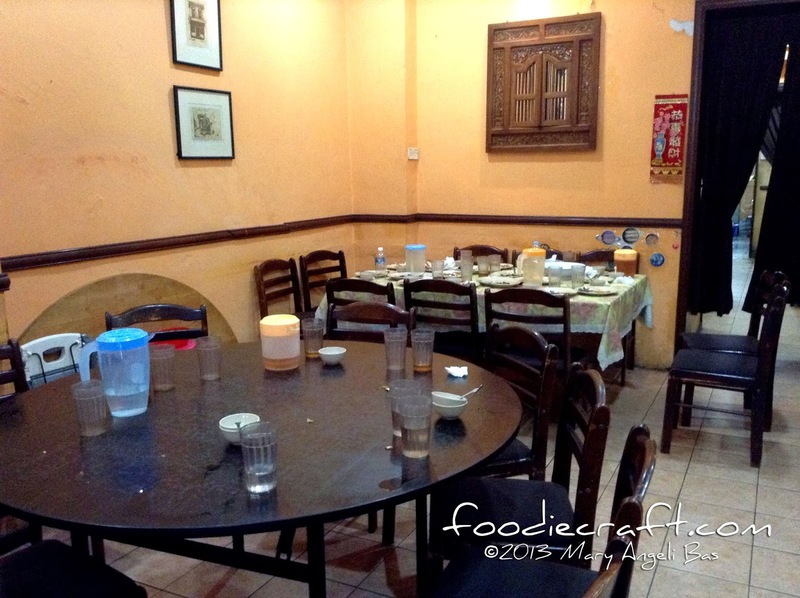 The place set along Tengkat Tong Shin serves home-cooked cuisine. 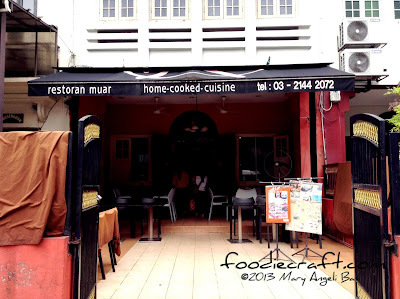 Restoran Muar is one of those restaurants that not only introduce you to Malaysia but also tell you a story of how it has developed over the years. Each served dish has a specific background of a state, kind of like taking a round trip to each Malaysian district. And because the food is good, it'll only take you about two hours to finish it. Your round trip in Malaysia for two hours starts here! KANKONG is a fresh meal starter. 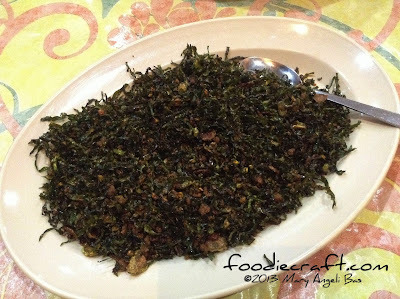 Its color exudes tones of overlapping green stems and leaves topped with shimmering layers of sauce. The palette is a combination of stir fried water spinach, oyster sauce and garlic. It tastes slightly bland with some hints of sweetness. It's delicious and good for your health. 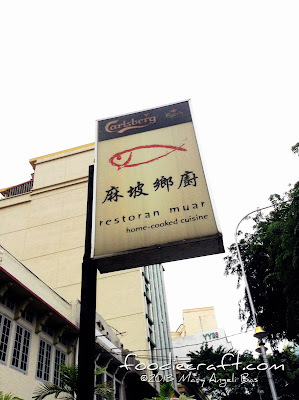 All vegetables served at Restoran Muar or any restaurant in Malaysia for that matter, are sourced from Cameron Highlands (CH). CH is one of Malaysia’s most extensive hill stations. 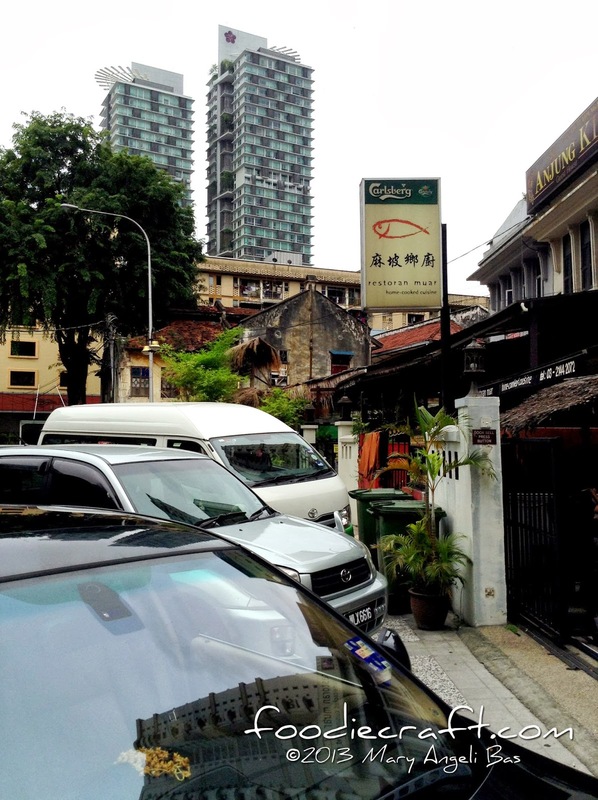 It's four hundred feet above sea level and is a four-hour journey from Kuala Lumpur. Crops are grown with absolute care which makes it very fresh and healthy. BARBECUE SAUCE CHICKEN comes in small chicken drumsticks margined with an orange sauce, punctuated with teeny slices of spices. 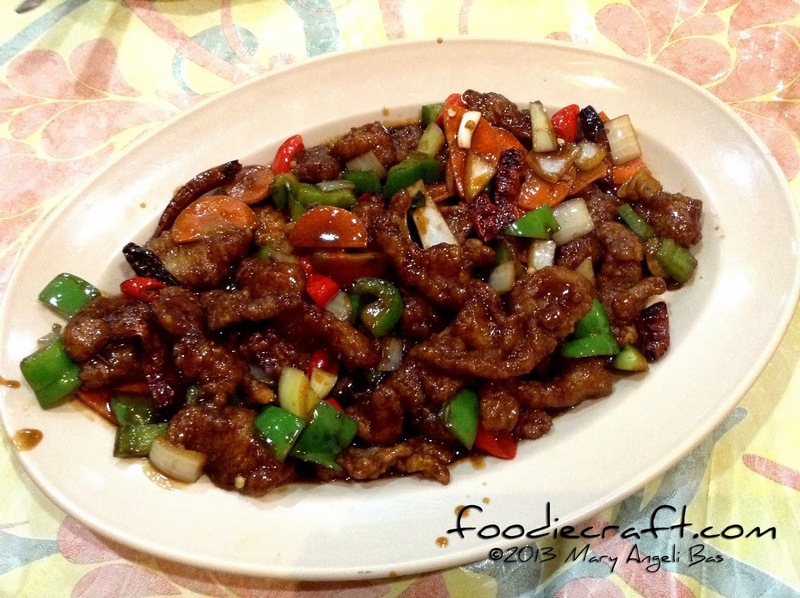 Barbecue sauce chicken-the palette is a combination of sweet and sour sauce and oyster sauce, vinegar and black sauce-marinated chicken. 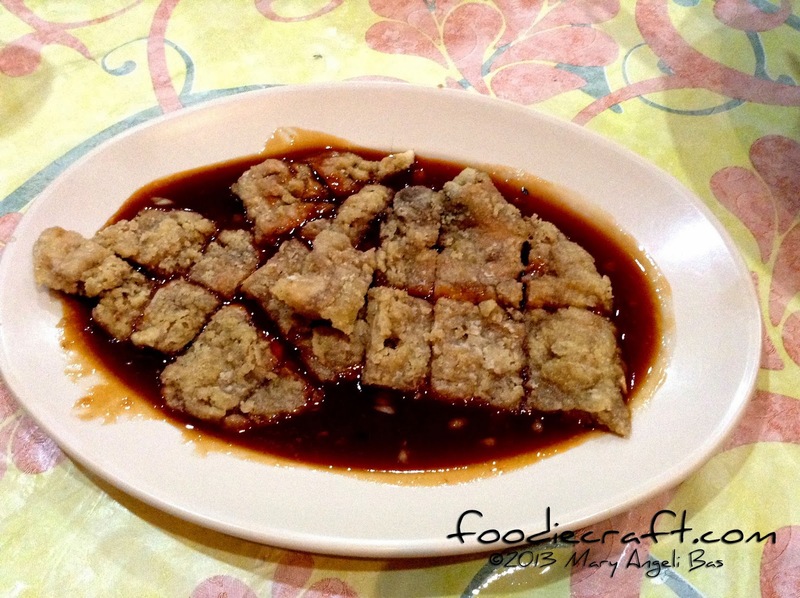 The chicken is tender and goes well with the syrupy sauce. These three states of Malaysia are abundant in chicken supply. They lead the poultry enterprise by bench-marking the quality and quantity of eggs and meat produced. They distribute so much chicken products that pass the standards of the country's king. 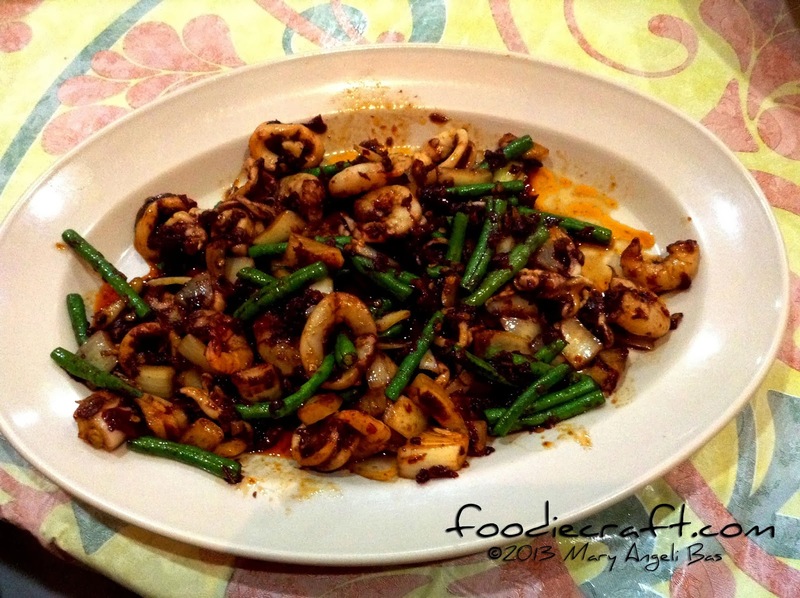 PETAL SQUID and PRAWN will test your spice tolerance. The small shrimps and cut squids are dashed with dried chili fish in just about all sides. Cucumber, green pepper, carrot and onion chops are tossed before frying everything on a pan. The second largest state in Malaysia, Sabah generally covers long stretches of beach at the east. This part of the country boasts great water quality for which sea creatures live. Catch is always of good quantity and the seafood freshness, better. DRIED CHILI FISH looks like a festival in a plate.With red and green chili chopped in chunks, onions and beans, colors dot out from the shiny brown squid. This dish tastes deliciously sweet and spicy. Malaysia also supplies fishes from the west coast of Kuala Selangor shore. Its rivers pride with big openings to the sea which fishermen find very conducive for work and a good source of freshwater and saltwater sea food. 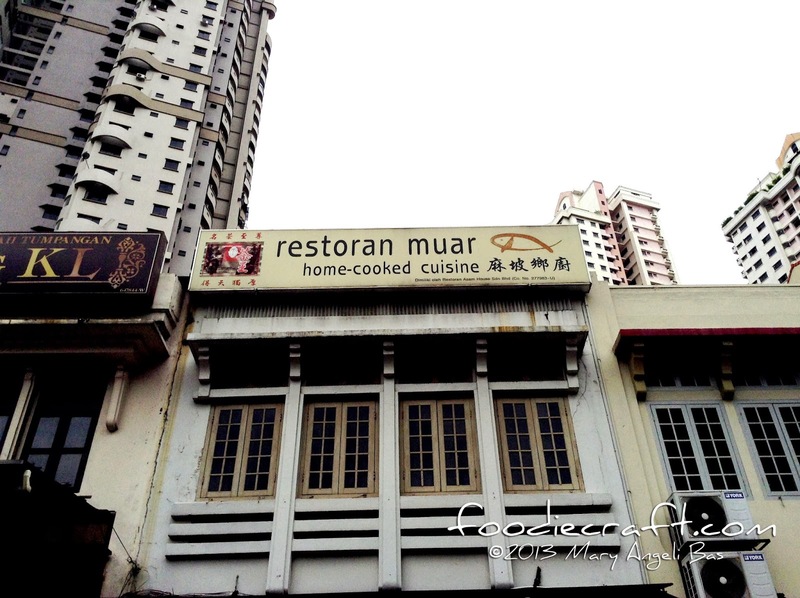 Here are other dishes served at Resoran Muar. 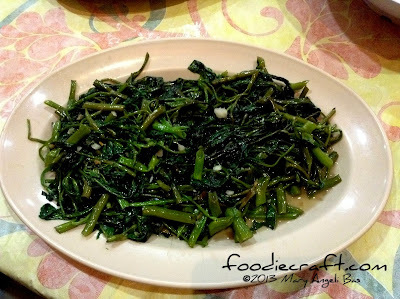 BUTTER KAILAN. 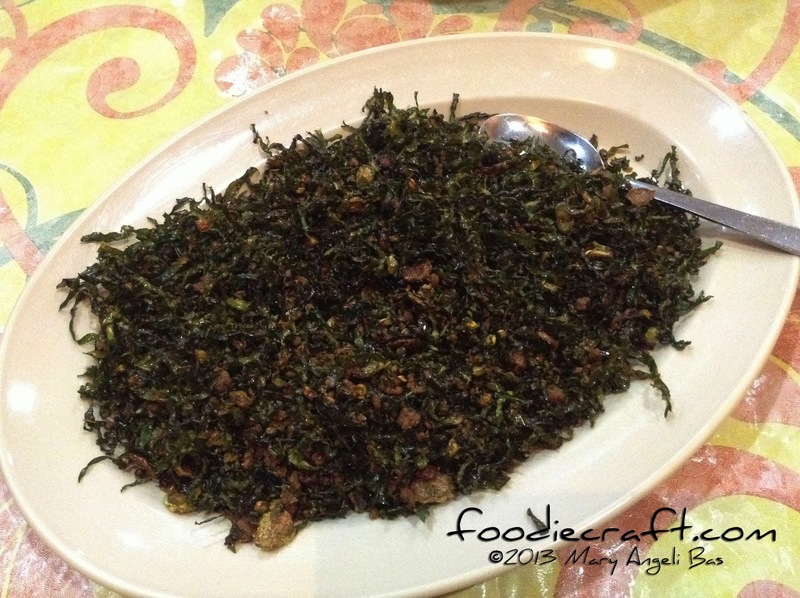 The Kailan leaves are sourced from Cameron Highlands. The dish is crunchy and spiky. Although bulbs is not an ingredient, the taste that dominates is garlic. 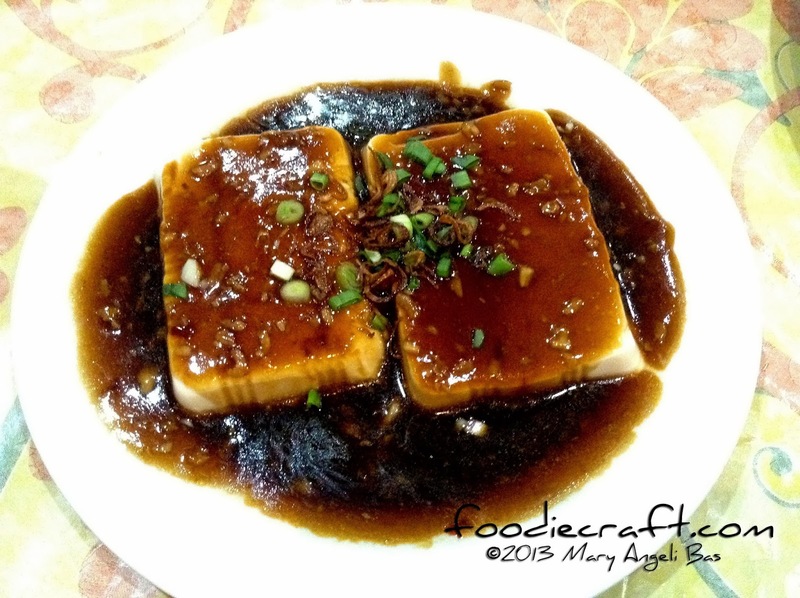 STEAMED BEANCURD is made out of milk. There are only a few farms in Malaysia so most restaurant import milk from foreign countries. This dish was sweet and smooth in the mouth. There was nothing so special about it. 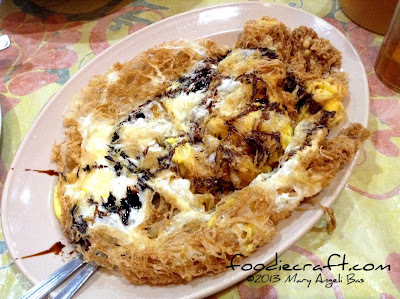 CRISPY FRIED EGG. Eggs fried together on a pan topped with chocolate syrup. This dish tasted very simple. Really simple. 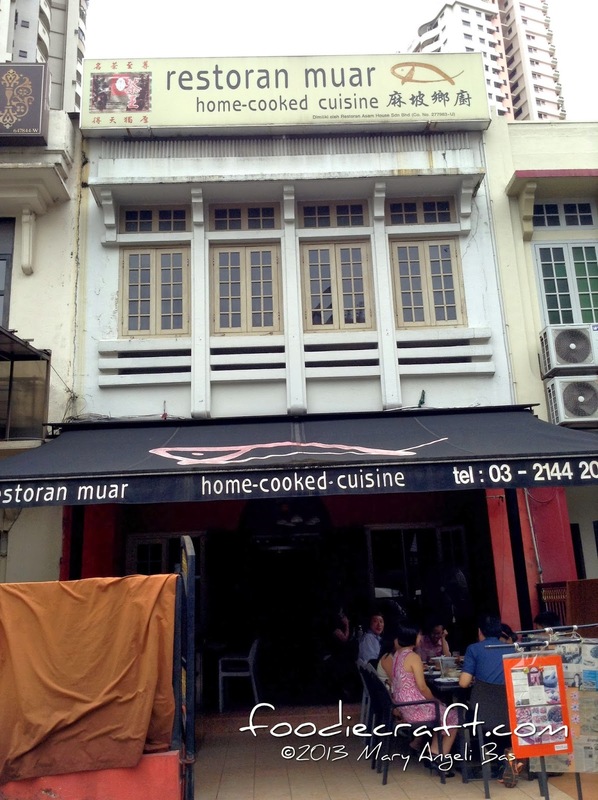 Take a gastronomical trip in Malaysia in one sitting. Restoran Muar is open from 11AM to 3PM / 6PM - 10PM everyday except for Monday. For your two-hour round trip in Malaysia, call +603 2144 2072 or +6012 219 2199. This trip was made possible by AirAsia Zest - The Right Way to fly and Tourism Malaysia - Visit Malaysia 2014. AirAsia Zest now flies to Kuala Lumpur Malaysia from Cebu Mactan International Airport. Visit www.airasia.com for flight schedules, promos and online flight reservation. Follow them on Facebook https://www.facebook.com/Zest-Airwaysand and on Twitter at @AirAsiaPH.